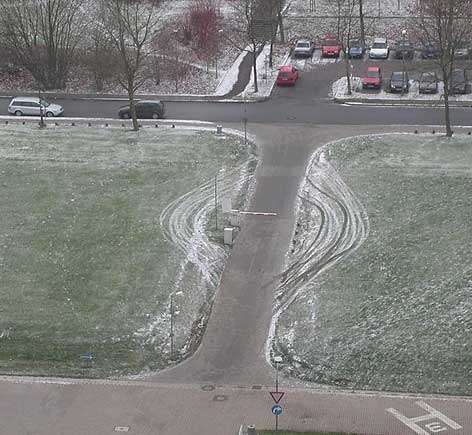 There must be a special breed of moron common in the physical security world. Much is made of how secure many office buildings are, but this is not my experience as a gifted tailgator. Today, after 14 months of waiting, I managed to get a car park in my building. I am chuffed as it is nice to have a fast easy way to get to work. I know I am lucky** as many people would like to park there, but there’s a … 14 month waiting list. That’s not why I write. My spot is on level 2. I work on level 3. The benefits of parking so close should include not having to go out in the crappy weather – what with a short lift ride between the two floors. However… moronic “security” comes to the rescue and ensures that this is not to be. Upon entering the carpark in my car, I can only exit via the lifts as the emergency exits are alarmed. I enter the lifts, swipe my card and press “3”. Nothing happens. It turns out I have to press “G” (ground in Australia = “1” in the US), and exit the building completely, walk *all* the way around it, re-swipe my access card to re-enter the building … walk to the same lifts, and then press “3”. I am not making this up. It makes no sense. I am authorized to be in the car park *and* the building. But I can’t transit one floor. This sort of stupidity makes people disrespect actual security measures. Until we can eliminate morons in the “security” industry, real security will always be worked around. We’re all seen as fools until we rid ourselves of fools. ** For environmentalists reading this… I have a tiny fuel efficient car (Citroen C3), and I carpool with my girlfriend, so it’s not just a single person clogging the roads. It’s two people clogging the roads and dirtying the air. However, it’s faster and cheaper for us to drive than to take public transport, even when you take into consideration the cost of parking, fuel, depreciation, insurance, and other running costs. Peter Batchelor needs to improve public transport in the west of Melbourne. It should *never* be cheaper or faster to drive in compared to public transport. But whilst it is, I’ll drive and park at work. Previous PostPrevious My Mac is back. Oh yeah!